Empire Trim and Hardware, Inc. Comment: Interested in installing storm/security door to the front of the house, to allow outside light in as well as a secured visual of outside of the front door. Comment: Door from house to garage is out of alignment and hitting cracked frame. Back door frame is cracked. Comment: I have a study room that is being used as a bedroom and I'd like to install French doors or a sliding door to add a bit of privacy. Comment: Need wooden frame around my front door replaced. Comment: Need the backdoor to open inwards instead of outwards. Comment: I have an opening to a room in back that is an add on. It is all framed in, and I would like french doors installed to that room. Cibolo Door Services are rated 4.82 out of 5 based on 277 reviews of 19 pros. 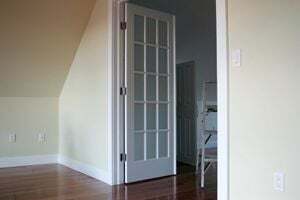 Not Looking for Doors Contractors in Cibolo, TX?